Merchant360 Inc. announced an agreement to support Bling Nation’s contactless mobile social media technology platform. According to Bling Nation, the company’s solution enables tap-and-connect capabilities at checkout, providing businesses with social media connectivity, viral loyalty programs with actionable analytics and mobile payments. The system works by tapping a mobile phone equipped with Bling Nation’s BlingTag microchip against a special reader at checkout, thereby allowing consumers to “like” a business on their Facebook page, post select rewards and redeem discounts and promotions targeted towards them. Merchant360 will support Bling Nation with range of services, including the VeriFone Vx810 Duet contactless application, Micros integration with NFC/contactless readers enabled by OneInterface from Global Blue A.B., and integration with Merchant360’s Mobitranz gateway for switching transactions. According to Merchant360, the company’s integration of the OneInterface solution will provide Bling Nation with an increased number of checkout options, including RetailPRO, and Cegid. 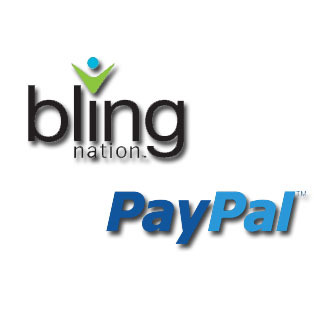 In addition, Merchant360 will deploy, install and provide help desk support for Bling Nation’s BlingBox starter kit.